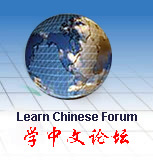 Gateway to Business Chinese - Regular Formulas and Etiquette is for beginners (no knowledge or little background of the language) who wish to develop everyday business etiquette language skills. The text covers various Chinese business activities and aims to improve speaking skills through the communicative approach. This order is for 1 book and 1 CD-Rom set.